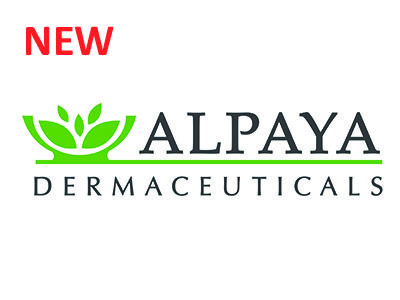 ALPAYA Dermaceuticals is a manufacturer and exporter company of Natural Skin Care &amp; Hair Care Products and Medical Devices in Turkey, very well known and highly respected company in the pharmacies market with premium products lines such as Bio Balance for skin care, Nutrigrow for hair care (in particular alopecia), Acnevit for treating acne and Episiva for slowing down growth of un-wanted facial and body hair. ALPAYA is now present in more than 46 countries mainly in the Middle East, Africa, South America and Asia. Our products meet the requirements of European Cosmetics Directive EC1223/2009. Turkish Exporters Association ranked ALPAYA as the 35th largest exporter of Turkey in the skin care products category in 2016. Product Groups: Depigmentation Creams, Anti-Aging Skin Care, Hand & Foot Balms, Specialized Facial Creams and Cleansing Gels for different skin types, Under Eye Creams, Anti- Hair Loss Shampoos, Anti-Hair Loss Serums, Phyto Protein &amp; Vitamin Shampoos and Conditioners, Scar Recovery Gels, Scar Recovery Sprays. Quality Certificates: GMP, ISO, CE.